Student voice is very strong and active at Bushey Meads and students’ ideas and opinions are always really valued as we all work together to improve our fabulous school. 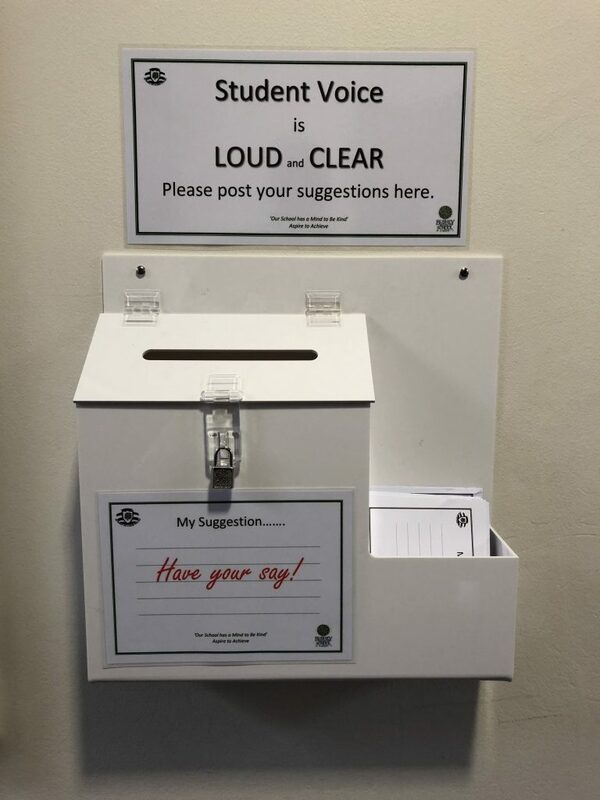 Besides raising matters through our very important Student Parliament, we have also recently introduced a student suggestion box on H Block corridor. If you have a good idea as to how we can improve the school you can compete a suggestion card and post it in the suggestion box. The box will be emptied every Friday after school by the Senior Student Leaders and all ideas looked at and considered for discussion at the next Student Parliament Meeting. It’s another great way to get your voice heard! 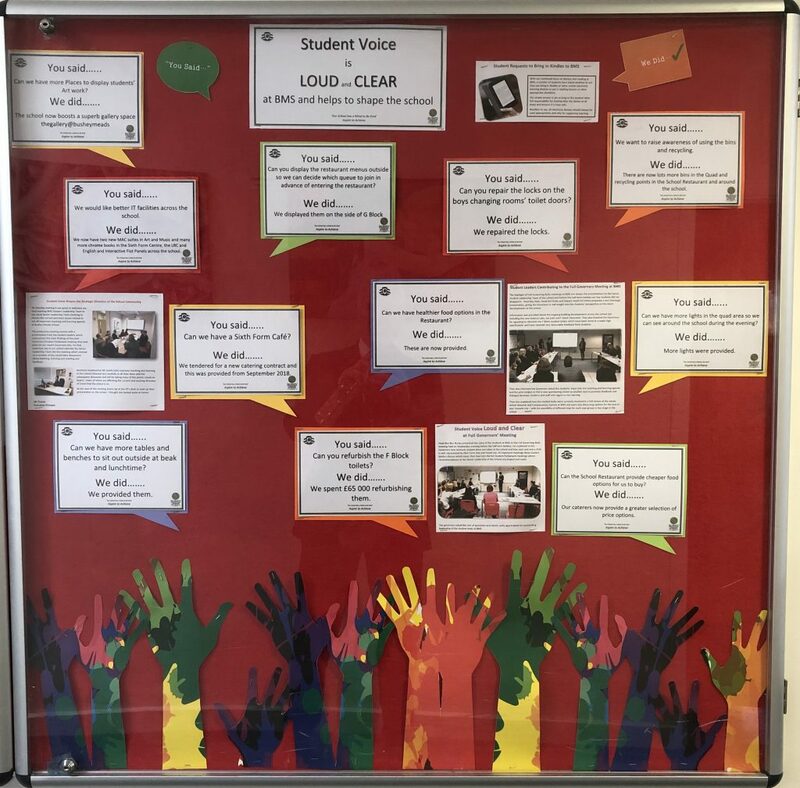 The display board next to the suggestion box is entitled ‘You Said We Did’ and highlights all the great ideas that students have had to improve the school that have been acted upon and implemented in recent years.